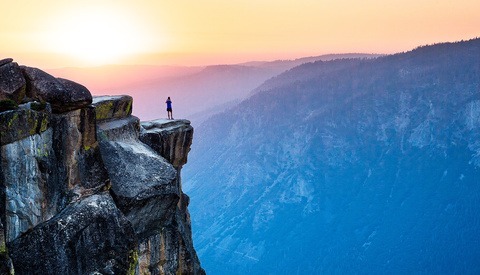 Charlie Vo, 34, of Alhambra, California, and his fiancee Melissa Ngo, 31, also of Alhambra, California, were unwittingly the subjects of photographer Matthew Dippel's viral image when Vo proposed for a second time at Taft Point in Yosemite National Park on October 6, 2018. Confirm it she did. Vo and Ngo had been traveling with a pair of friends who took photos of the second engagement on Ngo’s phone, and she was able to look at her images and compare them to Dippel’s. It was them. “We were clearly shocked; I almost didn’t believe it all,” Ngo said. “It was like, ‘I don’t think that’s us.’ I really couldn’t believe it. The fact that everyone was looking for us was just crazy." After more than a week went by without finding the mystery couple, Dippel resigned himself to the idea that perhaps they simply didn't want to be found. But 10 days after his original Tweet, Dippel finally saw a message from Vo’s brother claiming to know who the couple was. “I had a lot of people tell me they knew the couple, so I kind of took it with a grain of salt,” Dippel said. “I asked for some proof, and they sent me time-stamped photos of that night, and they were wearing the exact same thing as the couple in photo. I had no doubt in my mind it was them. At left, Matthew Dippel's viral photograph captured the moment Charlie Vo, left, proposed to his fiancee, Melissa Ngo. Vo and Ngo's friend captured the image at right, moments after the proposal. Notice the bill of Vo's cap and Ngo's dress match. Timestamps confirmed Vo and Ngo as the couple. Dippel said he had to sift through many leads, mostly from photographers trying to help him, before finally discovering the mystery duo. 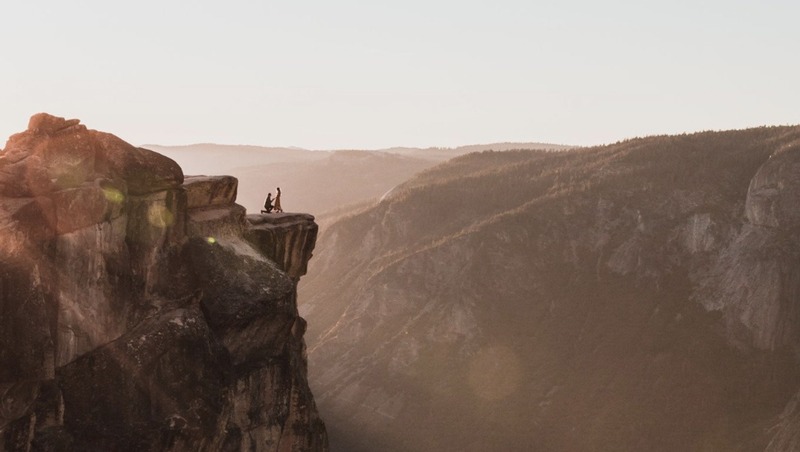 Upon realizing they had become part of a worldwide phenomenon, Vo and Ngo knew they wanted to reach the photographer who had captured such a special moment, even if it meant exposing themselves to the skepticism and negativity of the Internet. 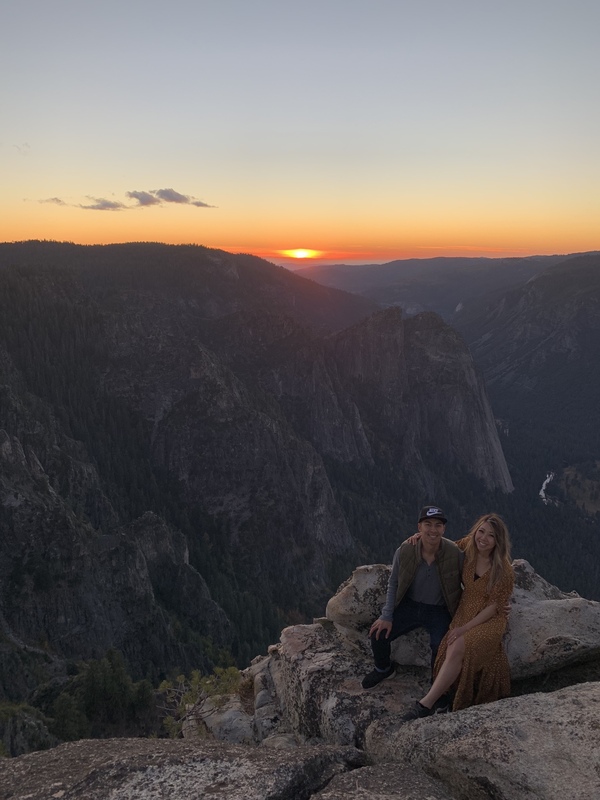 “From all over the world, people are telling us this story so amazing, Matt’s photo is so inspiring, they’re so glad we found each other, they’re so glad the photographer found us, they’re so happy for us,” Ngo said. Dippel was joyous that Vo and Ngo were able to get in touch with him. “It was like a huge weight was lifted off my shoulders,” he said. “I had been looking for them for over a week at that point ,and I was kind of giving up hope. It had been so long, and the story had reached so many places, I thought maybe they didn’t want the attention. When they came forward, it such a serendipitous moment." While that attention has mostly been positive, Vo admitted they have had to deal with skeptics who think they are claiming to be something they’re not just to gain attention. Though he had proposed to Ngo in February, Vo said he wanted to do it again for personal reasons. 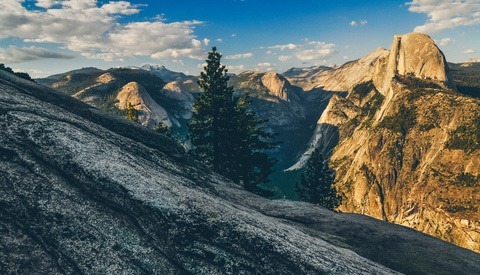 The couple plans to print a large copy of the image to be matted and framed, and they will ask guests at their wedding next year in Malibu to sign it. Their friends also captured several pictures of the engagement, including one just a little ways from where Dippel was standing. “I must have run right past their friend when I was trying to get over to the point to find the couple,” Dippel said. 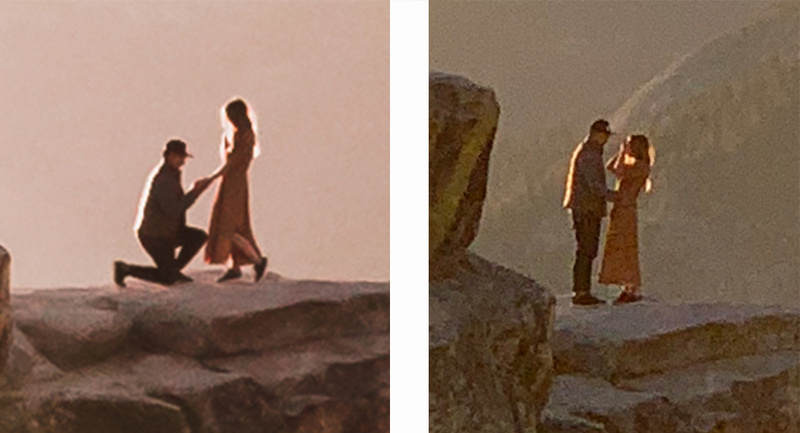 While Vo preferred not to share his friend’s image of the exact moment of the engagement, he did give Fstoppers one of the photos his friends took moments after he presented Ngo her Ring Pop. Compared close up to Dippel’s photograph, one can see the brim of Vo’s hat and the dress Ngo is wearing appears to be the same as the one Vo shared. “It’s pretty good, but not as great as Matt’s,” Vo said. 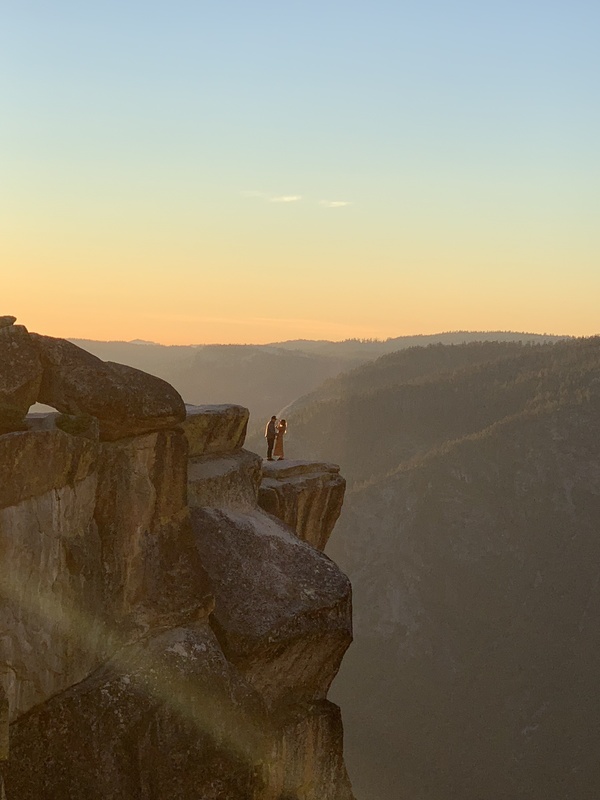 A friend of Charlie Vo and Melissa Ngo, the mystery couple of Taft Point, captured this image similar to the viral photo made by photographer Matthew Dippel on October 6, 2018. Photos used with permission of Matthew Dippel, Charlie Vo, and Melissa Ngo. Seriously, they should pay him? I think they both got something out of the photo so no money is needed IMO. Mr Dipple certainly got a lot of name recognition from this photo. Maybe they sign a release so he can use the photos as well. There doesn't seem to be any reason why this story became such a big deal. Dozens of photographers take dozens of photos (the same photo) of dozens of couples here all the time. We’ve written two other articles about the couple who died. Since this story was more about the Internet search and the photographer finding his mystery couple, the other stories are only very tangentially relevant to this one. Very cool...not sure what the BD is though. I've seen this same deal on several visits. Who wears a skater hat like that to propose? Geeez. Maybe it gave him an element of surprise haha.